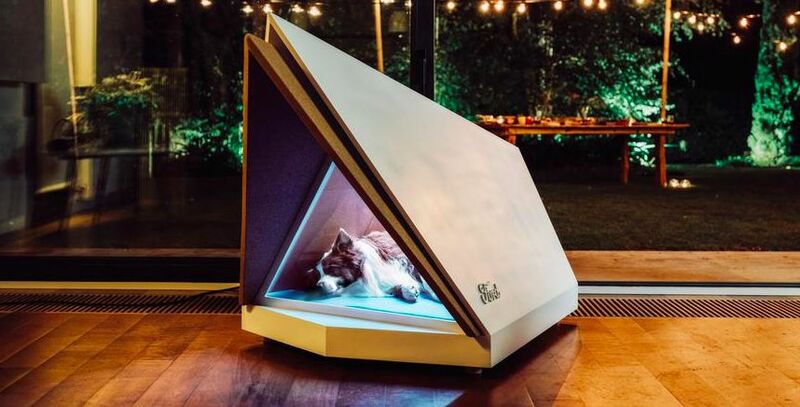 Before the holidays, Ford decided to present the concept of a dog kennel, where we can find an active noise reduction system. The company says that about 45% of dogs get scared when firecrackers or fireworks explode, so a new shelter will help protect animal ears from the noise. The base of the high-tech kennel is pressed bark of balsa wood, which is characterized by enhanced sound insulation properties. Similar to the noise reduction system in the car, inside the kennel, there are microphones that pick up every sound, plus an audio system that outputs a sound wave of the same amplitude in antiphase.